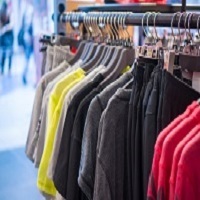 To give House of Fraser the best chance of survival, Sports Direct and its owner Mike Ashley must make drastic changes to both its product proposition and store environment to entice shoppers back says GlobalData, a leading data and analytics company. This will require significant investment – something which the chain has been starved of in recent years. Given the success of luxury department stores like Selfridges and Harrods, Ashley’s strategy is to replicate their model using House of Fraser’s locations, with the aim to transform the retailer into ‘the Harrods of the high street’. However, it is questionable whether the high-end price points would appeal nationwide, particularly given that London-based department store retailers have benefited from tourism. There may be opportunities to relocate current Sports Direct stores to House of Fraser locations if they offer more space to house both products and leisure options like gyms, which Ashley has recently introduced in the Thurrock branch. Sports Direct’s UK like-for-like sales fell 0.6% in the year to April 2018, despite operating in one of the more buoyant sectors in a tough retail climate, indicating that it needs to address problems before rolling out its offer to additional stores.